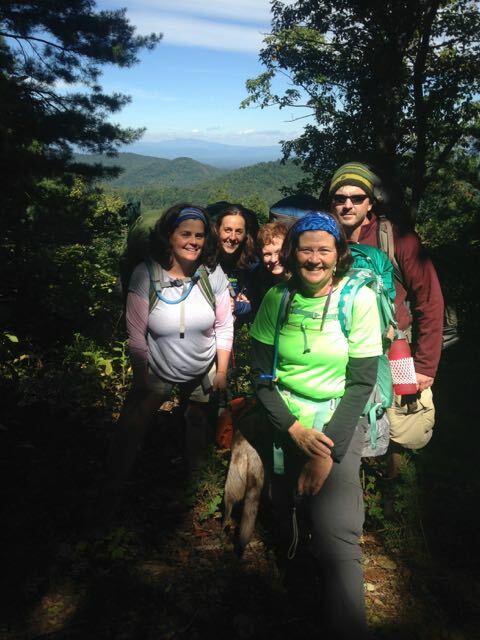 Mountains-to-Sea Trail in a Day — and throughout the fall - GetGoing NC! How awesome to have more than 1,700 hikers on the MST in just one day! How even more awesome to keep those 1,700 — and more — hiking the trail. MST in a Day was an effort three years in the making to get boots on all 1,175 miles of the Mountains-to-Sea Trail. To have at least one person hike down from Clingmans Dome on the western end of the trail, to have at least one person climb the highest dune at Jockey’s Ridge State Park on the eastern end. To have hikers on all the trail in between. 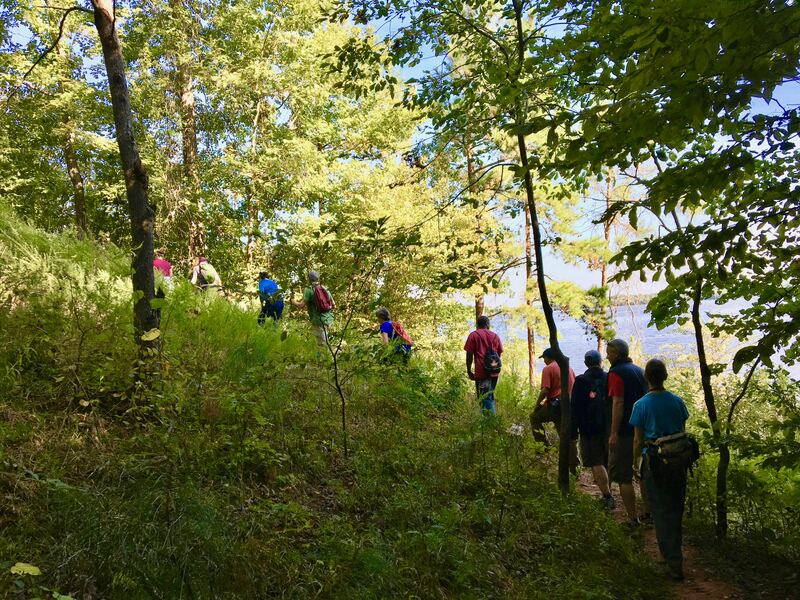 A remarkable task — so remarkable that the American Hiking Society doesn’t think it’s been done before on any of the nation’s other long trails. Keeping those hikers from Saturday — and more hikers and hikers-to-be — hiking into fall and winter is worthy as well. We’re going to do our part to make that happen. For the remainder of the year, our GetHiking! 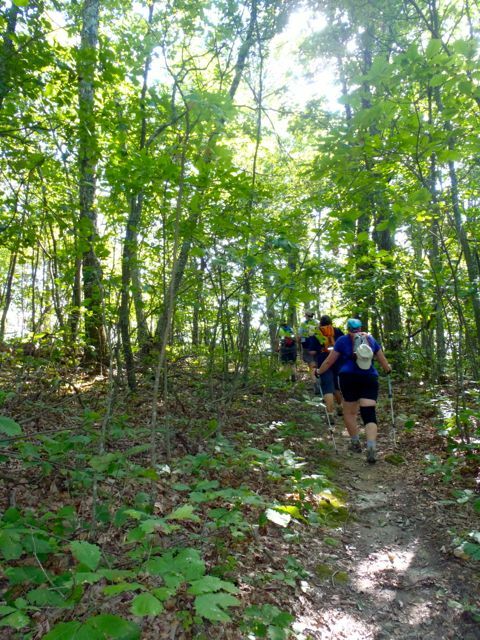 program is going to keep the momentum going by offering one hike a week somewhere on the MST, starting this Saturday in Hillsborough. Upon completing his 3.3-mile hike on Saturday, Ennis wrote to the Friends of the Mountains-to-Sea Trail: “I have worked in Hillsborough for 18 years and did not know that the Riverwalk trail connected to the Nature Preserve and the speedway.” Ennis was referring to the MST’s piggybacking on the Riverwalk through downtown Hillsborough, which connects with the 1-mile oval walking path at the Historic Occoneechee Speedway, then continues on a delightful one-mile run through the James M. Johnston Nature Preserve, all along the Eno River. “We’ll be back!” he promised. And we’ll be there to help make that happen. This Saturday’s hike will be 5.5 miles, with a 3.75-mile option. Many of our hikes will be similarly appealing to beginning hikers. Some will embrace the long-distance nature of the MST, with mileages topping double digits. All will help expose you further to the trail many of you were introduced to this past Saturday. 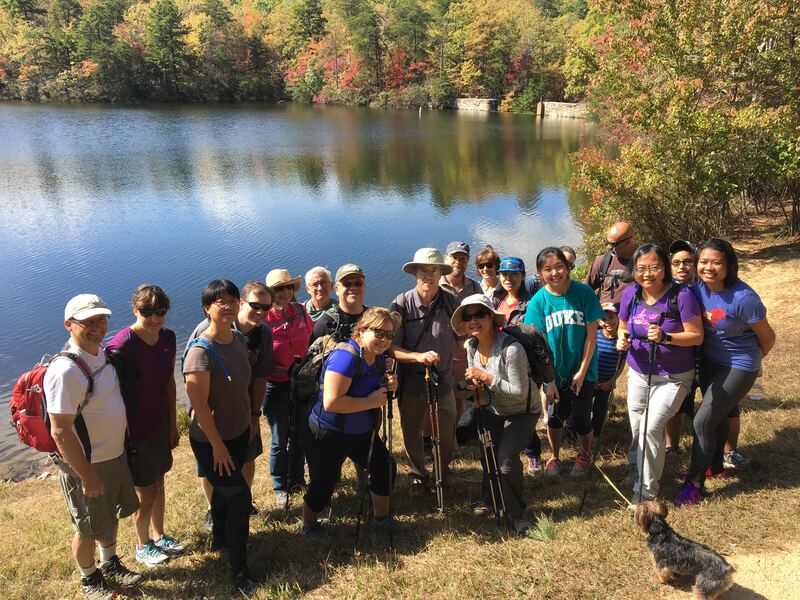 You can find details on this Saturday’s hike and sign up at our GetHiking! Triangle page, here. Look for future hikes there as well as at GetHiking! Triad, GetExploring! Greenville and GetHiking! Western North Carolina. 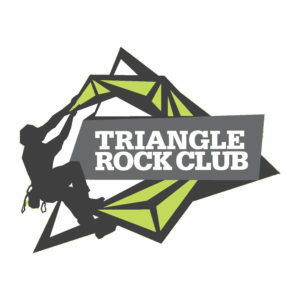 We’ll also announce our MST hikes in our weekly enewsletter, which you can subscribe to by emailing joe@getgoingnc.com. Hope to see you in Hillsborough Saturday — and on down the Mountains-to-Sea Trail throughout the fall.